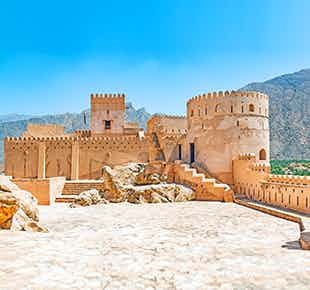 A pristine coastline, exciting sand dunes, luxury hotels and the winter sun – these are some of the key elements of a holiday in Oman, a beautiful nation on the south-eastern coast of the Arabian Peninsula. Loved for its fine blend of the ancient and the modern reflected through the architecture, the unique culture and the natural beauty, this country must be included in your list of favourite places to explore in the Middle East! Think beach and adventure tours, think Oman! Clear blue skies, crystal clear waters and the golden sands of the famous beaches such as Al Qurum Beach, Bandar Jissah and Musandam appeal to the nature lovers and call adventure enthusiasts to indulge in some exciting adventures such as dolphin-watching, diving, snorkelling and some of the world’s best fishing. Cities like Muscat, Khasab and Salalah are a delight to explore and to revel in the actual desert life whereas some pre-Islamic Frankincense ports, Arabian forts and souks, and modern masterpieces such as the Grand Mosque and the Muscat Opera House are some delightful spots to witness the true Arabian culture. The tallest peak of the country, Al Hajar Mountain Range and the Wadi Nakhr Gorge, with their incredible appearance, present the best of the nature and thrill. Nakhal is the best kept secret of Oman! Approximately 70 miles west of Muscat, the town is surrounded by lofty mountains and orchards of palm trees. Visitors are awed by the beauty of its majestic Nakhal Fort which has a history dating back to the pre-Islamic period. A short drive from the town is the warm springs of Ain A'Thawwarah, known for their healing properties. 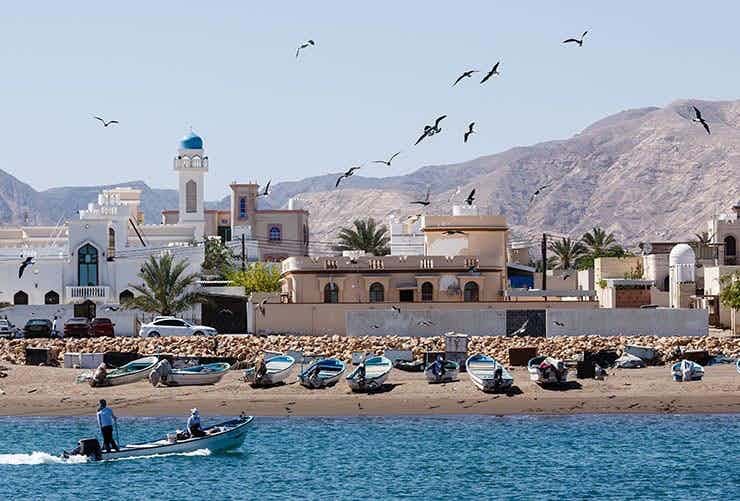 Originally a fishing village, Muscat has come a long way to be Oman’s prominent trading port and a popular tourist hub. The city is nestled by the Arabian Sea and draws tourists for its fusion of nature, history and culture. 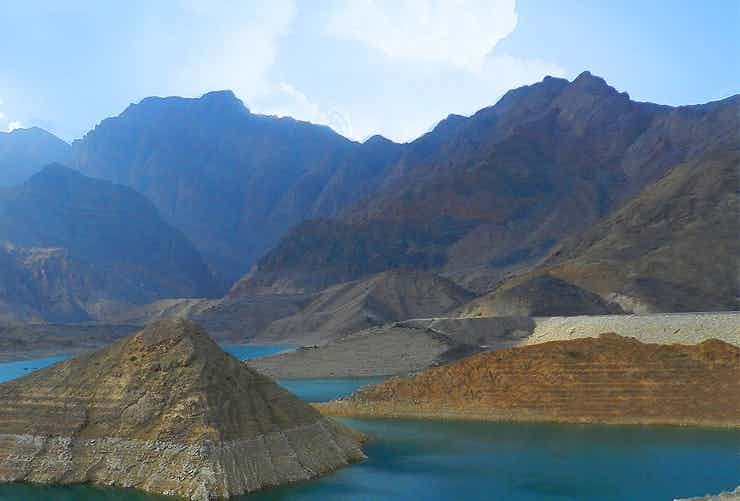 A short drive from Muscat are several wadis, famous for dramatic landscapes and heart-throbbing adventures. 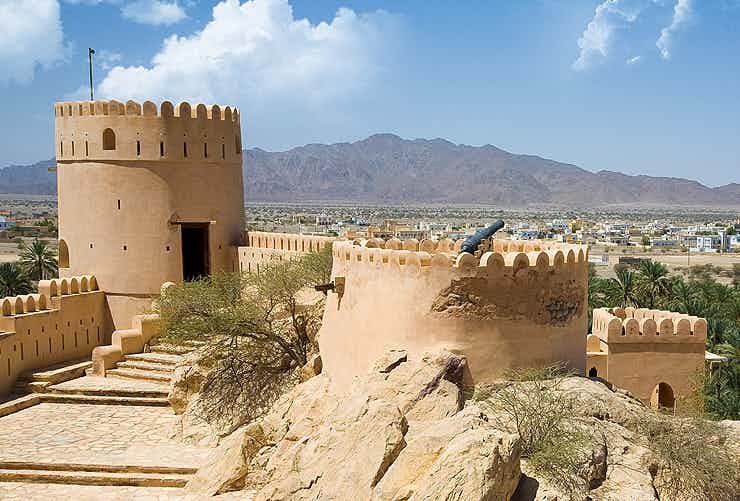 Travel back in time with a visit to the ancient city of Nizwa in the Ad Dakhiliyah Region in Oman. The city, which is considered one of the oldest towns in the country, boasts the huge Nizwa fort and the Nizwa souk. Explore the circular fort and the ancient marketplace, which sells traditional jewellery, muskets and khanjars (traditional knives). 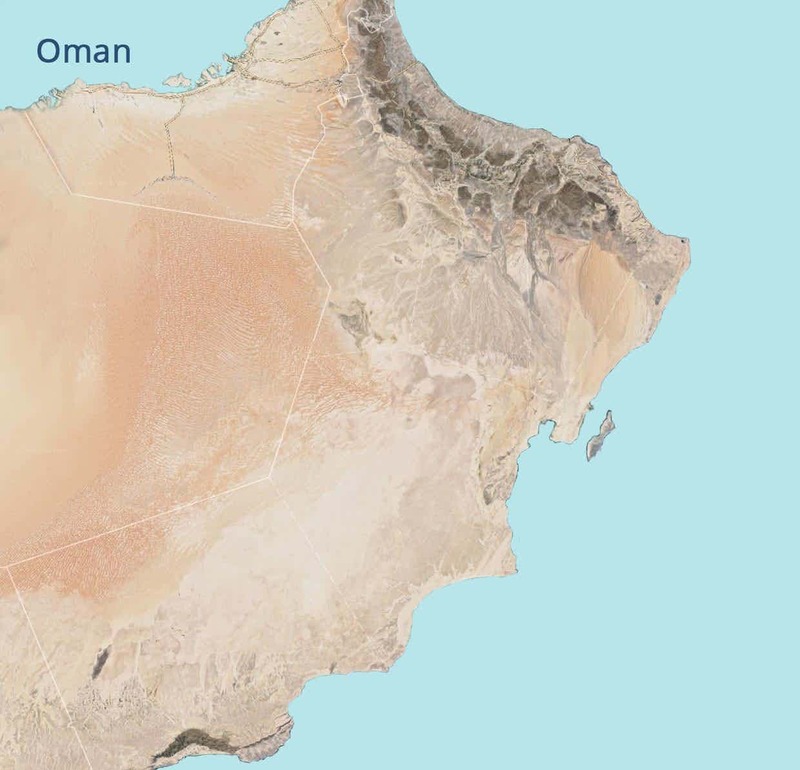 The quaint town of Quriyat is located south of Muscat in Oman. Explore the tiny town as you walk past its buildings and the traditional marketplace, the Souk. One of the main attractions of the town is its fort, which is located in the heart of the town. Do visit its sea-facing cornice. 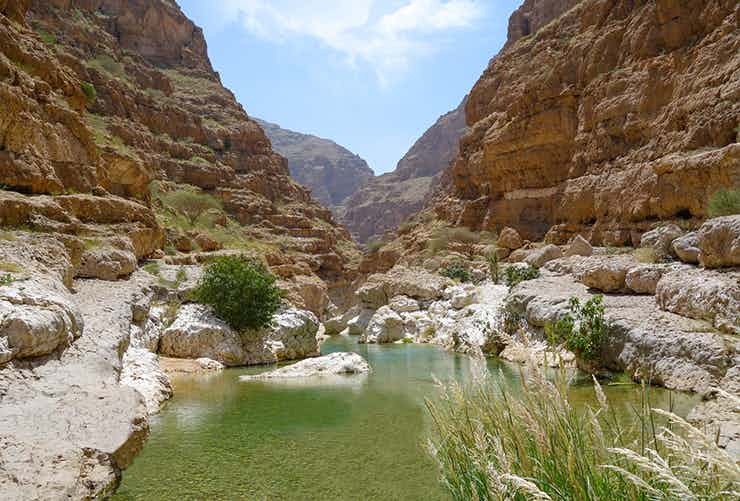 Wadi Shab, a beautiful natural valley in Al Sharqiyah region, makes for an impressive day trip from the capital city of Muscat. Fresh water pools, hiking trails, and a waterfall in the cave allure families as well as adventure lovers to this beautiful wadi. Experience the surreal charms of the majestic Sharqiya Sands (locally famous as the Wahiba Sands)! Get lost in the stunning dunes that are the home of the traditional Bedu tribe. Peek into the traditional way of life of the Bedu women in their elaborate costumes and admire their craftsmanship. 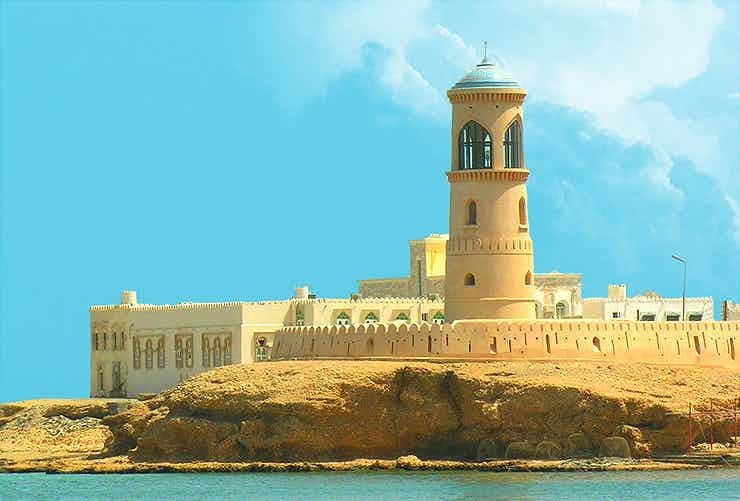 Feel blessed in the lap of nature in the serene surroundings of the coastal city of Sur, which is located in north-eastern Oman. The city lies along the picturesque Gulf of Oman and has some pristine beaches, a couple of majestic looking forts and a stunning cornice. Fondly billed the jewel of southern Oman, Salalah welcomes all tourists with open arms. Admire its rich cultural heritage through many museums and mosques, or visit the Al Haffa Beach for a peaceful time amidst dramatic cliffs and palm trees. Salalah is also famous for its historical souks, which offer a wide range of collectables, from frankincense and dates to handicrafts and souvenirs. 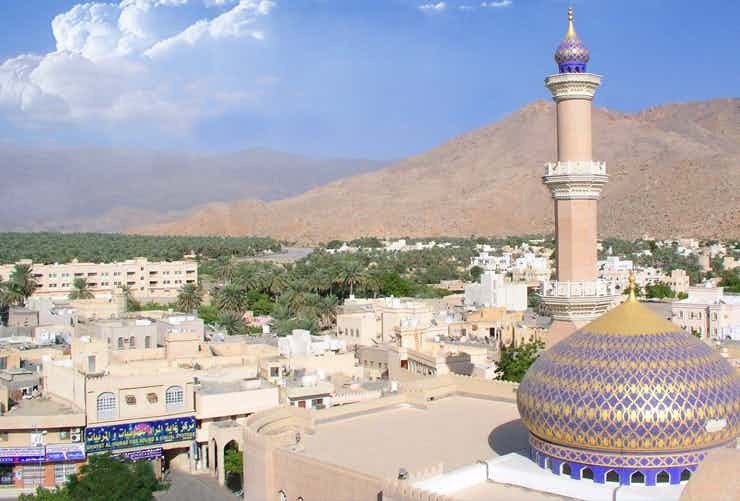 Our exclusive day tours take you to some of the most amazing cities and attractions in Oman. Add flexibility to your Oman holiday with a private tour. Travel at your own leisure while exploring and experiencing the country’s various charms! Enjoy the key attractions of Muscat as part of this exclusive evening tour that ends with a dinner at a local restaurant. 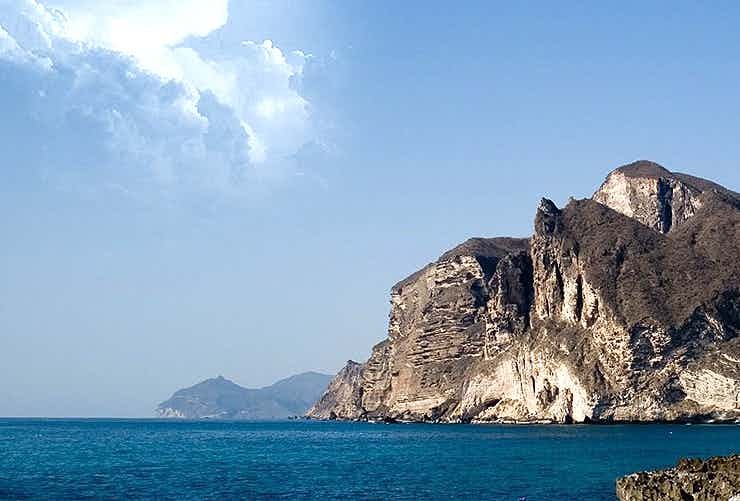 Marvel at the highlights of Salalah, Oman. Explore the city’s mountains, beaches, ancient tombs and traditional local markets. 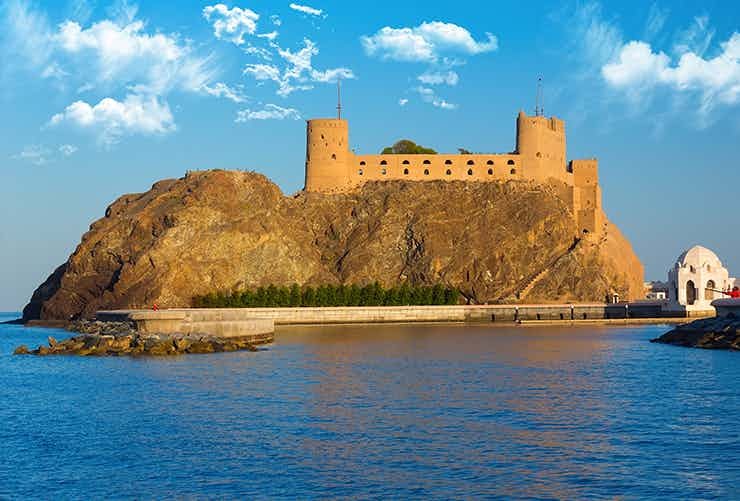 Explore the many jewels of Oman as part of this tour, which will introduce you to the major attractions of Muscat. Discover the cultural heritage of Oman by visiting the famous mosque of Muscat, the village of Birkat Al Mauz, and ‘souks’ of Muttrah.